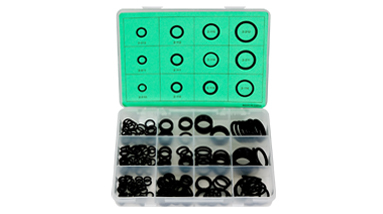 RT Dygert offers over twenty-five different O-Ring and seal assortments in numerous materials and sizes. The materials we offer range from standard compounds such as multipurpose Nitrile (Buna-N) rubber, to more exotic materials including Viton™ (generically called fluorocarbon) and PTFE (also called Teflon®). 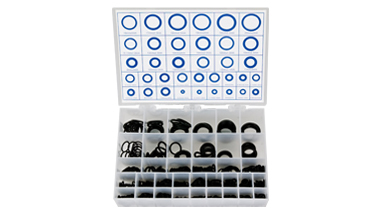 All RT Dygert O-Ring and seal kits come in sturdy compartmented boxes made of either translucent polypropylene or opaque/transparent styrene plastic. 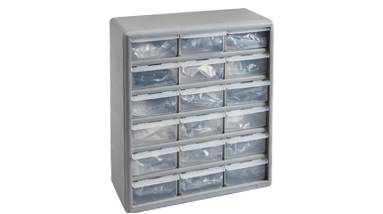 Each container includes helpful cards or labels indicating size and quantity of seals in each compartment. 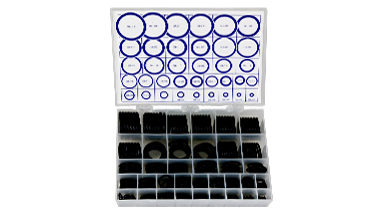 In order to facilitate resale, all our assortments are shipped in plain boxes with generic labeling for easy re-labeling and re-shipment.